"Hunted by men...Sought by WOMEN!". 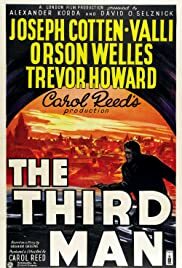 An American pulp writer arrives in post-WWII Vienna only to find that the friend who waited for him is killed under mysterious circumstances. The ensuing mystery entangles him in his friend's involvement in the black market, with the multinational police, and with his Czech girlfriend.